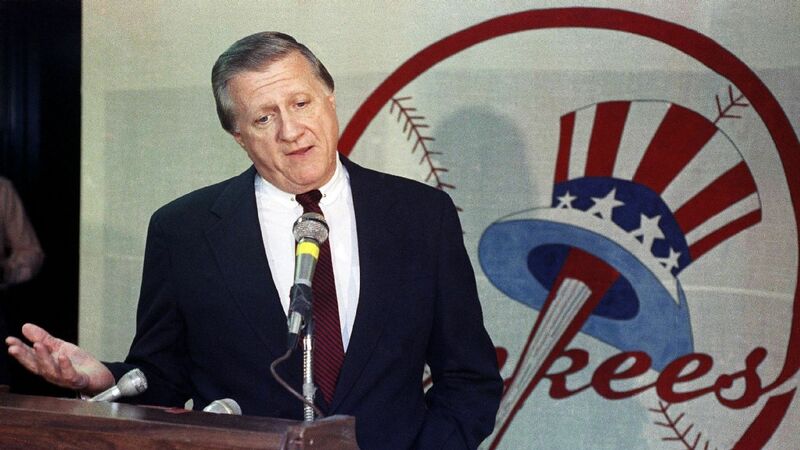 COOPERSTOWN, N.Y. — Late New York Yankees owner George Steinbrenner, former managers Lou Piniella, Davey Johnson and Charlie Manuel, and six players headed by Lee Smith are on the 10-man ballot for the baseball Hall of Fame’s Today’s Game Era committee to consider next month. Harold Baines, Albert Belle, Will Clark, Orel Hershiser and Joe Carter also are on the ballot for the 16-man committee, which meets Dec. 9 at the winter meetings in Las Vegas, to consider. The committee chooses among candidates from 1998 to the present, and a candidate needs at least 75 percent of the vote to be elected. Any candidate picked will be inducted July 21 along with any players elected by the Baseball Writers’ Association of America in a vote announced Jan. 22. Mariano Rivera and the late Roy Halladay join a ballot with top returnees Edgar Martinez and Mike Mussina. When the Today’s Game Era committee last met two years ago, former baseball commissioner Bud Selig and Atlanta Braves executive John Schuerholz were elected. Piniella received seven votes, while Baines, Belle, Clark, Hershiser, Johnson and Steinbrenner each received fewer than five. Mark McGwire also received fewer than five and was dropped from this year’s ballot. Smith’s highest voting percentage during 15 years on the Baseball Writers’ Association of America ballot was 50.6 percent in 2012. He received 34.2 percent in his 15th and final appearance in 2017. The Hall has four committees. Modern Baseball (1970-87) meets in December 2019, and Golden Days (1950-69) and Early Baseball (before 1950) in December 2020.